To strengthen INSEAD’s mission to develop outstanding business leaders, we constantly review the content of our programmes. After an extensive two-year review with input from our major stakeholders, including faculty, students, alumni, staff and recruiters, the faculty has now approved several new components for the MBA curriculum. The enhanced programme will be rolled out in September 2017 for the Class of 2018J. The School’s ultimate goal remains the same: to deliver an exceptional and transformational MBA experience by providing rigorous and relevant learning experiences, opening doors to exciting career opportunities and building an unrivalled global alumni network. The new MBA curriculum features a digital start before the on-campus programme begins, “big picture” content innovations and a more personalised learning journey. Leveraging new technologies, we have created exciting content that enables online distance learning so that students arrive better prepared for their accelerated ten-month MBA. The digital start features an integrated case with virtual input from our expert faculty and topbusiness leaders. By experiencing different viewpoints on issues involved in making crucial business decisions, students gain a broad view of management before drilling down in foundation courses. The digital start has the additional advantage of reducing pre-knowledge gaps between students. On the career side, students can access online learning modules on writing a winning CV and making use of LinkedIn to kick-start their career development before the programme starts. These tools allow them to articulate better their past achievements and to strengthen their stories, and get off to a great start the moment they set foot on campus. Once the programme begins, they also have access to personal career coaches. To help students understand and appreciate the complexity of the interactions between business and society, we have created a new core course, updated the electives and introduced a new capstone project. 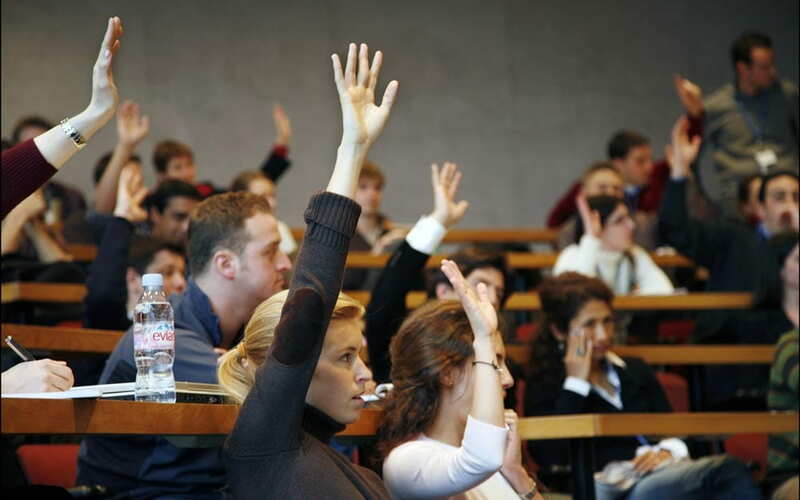 The new Business in Society core course prepares students to address pressing global issues. It covers three main topics – ethics, political environment and public policy – with the underlying theme of “Business as a Force for Good”. Ethics focuses on realising personal values and assumptions; political environment on the impact that political processes and institutions have on business (and vice versa); and public policy on the role of business when markets and regulations fail. This core course will help students to appreciate the complexity of the interactions between business and society and equip them with the tools to manage stakeholders’ interests and create sustainable value for everyone. Sharing economy developments in the last decade, culminating in business model innovations like Uber, Airbnb and BlaBlaCar, highlight the need for entrepreneurs and leaders to formulate non-market strategies. We also offer students new electives on hot topics, equipping them with tools and knowledge to turn digital challenges into opportunities. New electives include Digital Transformation, Technology and Innovation Strategies, FinTech, Social Media Analytics, Big Data, Organisation 2.0, Global Virtual Teams, Work in a Digital World, Marketing in a Digital World, Entrepreneurship and Technology. Finally, all students complete the MBA with a capstone project that simulates a business crisis. To succeed in this exciting project, they need to draw on everything they have learned over the course of the programme, as well as on insights from the Personal Leadership Development Programme. Our hope is that these experiences will serve as touchstones throughout their careers. The Personal Leadership Development Programme (PLDP) is designed to guide MBA students towards heightened self-awareness through personalised coaching, interpersonal skills and effective communication. The PLDP offers all students one-on-one coaching with a qualified and experienced personal coach to address their individual development needs. These coaching sessions are guided by the student’s aspirations, assessments of the student’s strengths and weaknesses derived from self- and 360-degree assessment tools, and behaviour and performance exhibited in experiential learning settings, such as course simulations. Students also receive professional group coaching to enable them to benefit most effectively from the study group structure of the MBA. The programme also focuses on other critical skills – giving and receiving feedback and working effectively in teams. Research consistently shows that these interpersonal skills are critical to students’ success in their early careers and as they move on to leadership positions within their organisations. We anticipate that students will consider the PLDP a signature experience of the MBA programme. It will help them develop lifelong skills that continue to fuel their talents as they join the alumni community as world-class managers and entrepreneurs. 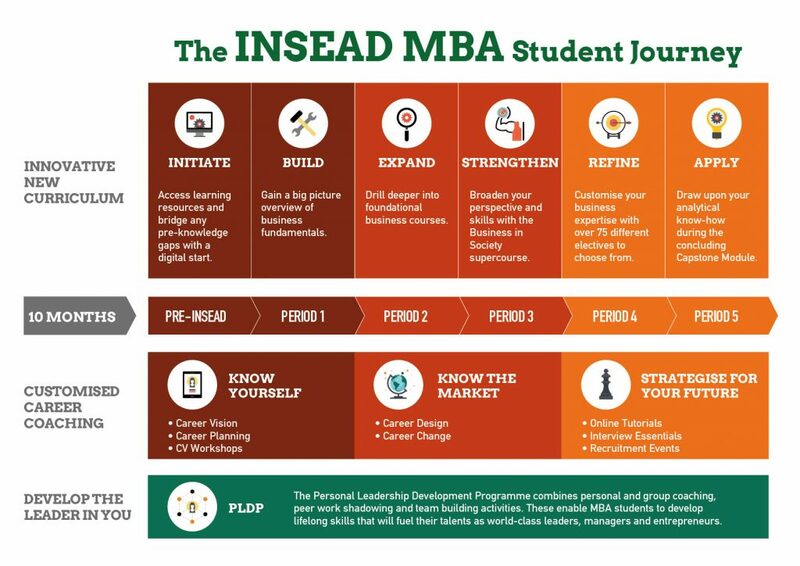 With these exciting new elements, the revamped course curriculum will continue to attract top faculty and students from around the world and make the MBA experience at INSEAD even more rewarding. I really love the idea of using the pre-INSEAD time as an optional preparation time via the new digital tools to begin getting into the swing of things and also to draft your resume. The capstone project is a fantastic idea as well. I would love something similar for Alumni as well – a case once a month that allows us to connect and remain intellectually engaged with our class. Is there a possibility of extending that option to alumni? For many alumni, meeting up with peers from around the world at the INSEAD Alumni Forums has become a tradition.